The first image of Tony winner Betty Buckley as meddling matchmaker Dolly Levi has arrived, and it's fabulous! The Broadway legend is starring on the national tour of the Tony-winning revival of Hello, Dolly!. The tour begins on September 30 at the Connor Palace at Cleveland’s Playhouse Square ahead of an official opening on October 5. Buckley is joined by a cast that includes Lewis J. Stadlen as Horace Vandergelder, Nic Rouleau as Cornelius Hackl, Analisa Leaming as Irene Molloy, Jess LeProtto as Barnaby Tucker, Kristen Hahn as Minnie Fay, Garett Hawe as Ambrose Kemper, Morgan Kirner as Ermengarde and Jessica Sheridan as Ernestina. 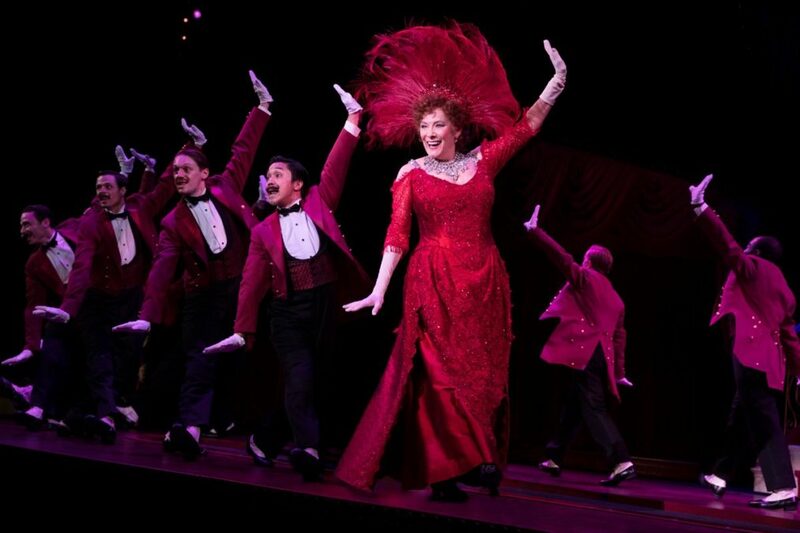 Check out the stunning photo of Buckley rocking the iconic title number red dress, and be sure to catch Hello, Dolly! before its resplendent parade passes by your town.